Health and Physical Education Major B.S. The four-year program offers a core curriculum in health and physical education leading to certification in both areas, a variety of early teaching experiences that provide ‘hands-on” learning, numerous service opportunities to teach diverse populations. What is health and physical education? Health and physical education provides school-aged students with the knowledge and skills that will enable them to achieve and maintain a physically active and healthful life, not only during their time in school but for a lifetime. The program’s focus on health, physical education and adapted physical education will give you a strong foundation for teaching all students in a K-12 educational setting. Coursework includes a mix of activity-based classes such as lifetime sports and adventure education, knowledge of teaching health and physical education, and hands-on course work. Why study health and physical education at UNH? As a health and physical education major at UNH, you’ll engage in a variety of experiences and teach diverse populations. Our program also offers a concentration in adapted physical education that prepares you to be a leader in the school setting, promoting healthy lifestyles. You’ll enjoy small classes taught by faculty who are nationally recognized leaders in their fields. This program has been ranked in the top 9 percent of all undergraduate health and physical education programs nationwide, with a high rate of successful employment. You’ll also have the opportunity to pursue a fifth-year Master of Arts in Teaching degree. The health and physical education (HPE) major provides a foundation for teaching through a four-year program (BS), or the UNH Department of Education fifth-year program leading to a masters of arts in teaching (MAT). Graduates become certified to teach kindergarten through grade 12 (K-12) health and physical education in the state of New Hampshire. This licensure is transferable to all other states in the U.S. Extensive supervised practicum experiences that provide teaching skills, including adaptive physical education programming, offers an excellent foundation for preparing high-quality teachers. The combination of health with physical education and adaptive physical education makes graduates highly marketable. 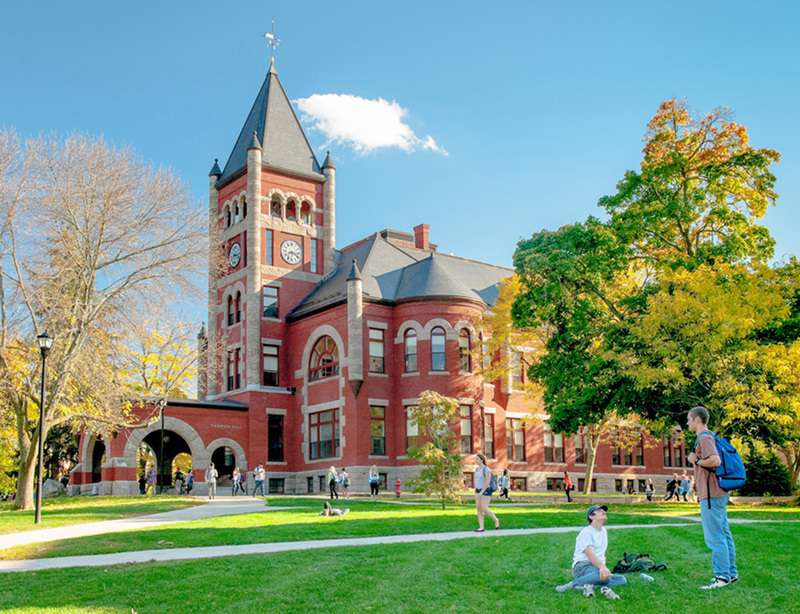 Internal UNH undergraduate transfer candidates must have a minimum GPA of 2.67 before admission to the major. The coursework for students choosing the four-year or five-year path to teaching certification is exactly the same until the final semester of the undergraduate program. The culminating capstone for students in the four-year teaching program is student teaching (EDUC 694D/KIN 694 Supervised Teaching in Health and Physical Education). Students also have the option of completing a concentration in adapted physical education through additional coursework designed to enhance teaching strategies and the programmatic needs of students with disabilities. Students choosing to do the fifth-year program complete a year-long internship, in lieu of student teaching. Admission to the fifth year program requires a minimum GPA of 3.0. Students admitted early to the masters program (required GPA of 3.2 or greater) are eligible for dual credit at the undergraduate/graduate levels for up to 12 credit hours. This enables undergraduates to begin the masters program in their junior or senior year. For questions about the program, contact the program coordinator, Steve Wright, at (603) 862-4408, or steven.wright@unh.edu. This list only includes major classes. Students should be registered for, and taking an average of 16 credits per semester to be ‘on track’ to graduate in 4 years. In most semesters, this means a student will be taking Discovery or elective courses to meet this 16 credit ‘load’. The Physical Education Option with the Department of Kinesiology would like to offer an undergraduate concentration in Adapted Physical Education. Completion of the coursework can count towards eligibility in sitting for the Adapted Physical Education National Standards examination. For more information, please contact Steve Wright at (603) 862-4408 or email Steven.Wright@unh.edu. Q: What is needed to be certified to teach in NH? 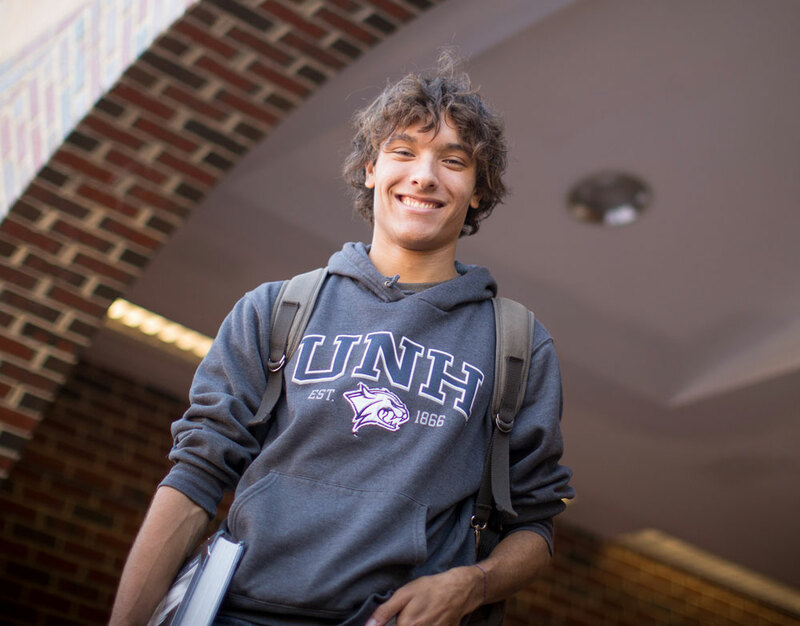 To be certified in the state of New Hampshire you need to complete an undergraduate degree program through an accredited school such as UNH. In addition, you need to take standardized tests at the state level for teacher certification. Q: What kind of certifications will I receive? The UNH Health and Physical Education program certifies its 4-year B.S. students in both health and physical education. The 5th year Masters program also certifies its teacher candidates in both health and physical education. Q: What can I do with the certificate? With a health and physical education teaching degree you are able to teach at any level from kindergarten to grade 12 in either health or physical education. Many of our graduates receive jobs where they are able to teach in both of these areas. The degree also qualifies you to work in a recreational setting. In addition, you will have the knowledge to coach at any level, and teach students with disabilities. Q: What is the difference between the 4 and 5-year programs? The 4-year program gives you a B.S. degree with certification to teach in health and physical education. Candidates are only required to student teach for one semester. Because many states and school districts require a master’s degree to teach, the 5-year program gives you a master’s degree with certification in health and physical education. Candidates in the master’s program complete a yearlong internship. Q: What if I only want to teach in one area - either health or physical education? You can do that! What we find is that most students get the job and the teaching levels they want to work in. Students who opt for the 5-year graduate program as their route to teaching certification in Health and Physical Education will apply to the UNH Graduate School for admission into the Department of Education’s MAT program. Students must have a UNH undergraduate GPA (Grade Point Average) of at least a 3.0 out of 4.0. The application process is done online, and three letters of recommendation are required. An outstanding benefit for high achieving students is referred to as ‘early admission’ to graduate school. If an undergraduate has a GPA of 3.2 or better at the time they apply, they will be accepted ‘early’ and can take up to three courses (12 credits) as dual listed – undergraduate and graduate level courses. This would mean that an undergraduate student early admitted to the graduate program, will be eligible to take three of the required five courses as undergraduates. Early admit students would then have only two courses left to complete their graduate program. This saves both time and money! All graduate students, whether regular or early admitted will also be required to take a full year of student teaching (referred to as an internship), as the major component of the MAT that leads to teaching certification. This includes a 16-week placement at an elementary school and a 16-week placement at a middle or high school. Classes required include: (700 level is undergraduate and 800 level is graduate). With the additional, 5th year of study, including the internship, a student will graduate with an MAT Education Master’s degree and certification to teach Health and Physical Education, K-12 in New Hampshire. These teaching certifications will be transferable to all of the other 49 states in the U.S. If you have further questions about this graduate program, contact Steve Wright at 603-862-4408 or Steven.Wright@unh.edu. Once the application is complete, contact Steve Wright for an interview.